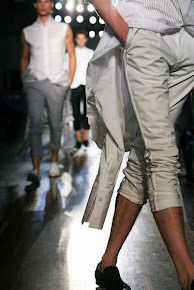 Christina Nitopi showed her men's wear collection last night at Athens Fashion Week in Technopolis. Just a view report. Athens Fashion Week: Daphne Valente's lightness of being. This evening Dimitris Dassios opened Athens Fashion Week in Technopolis with his collection fall/winter 2010/2011 Arabesque.